Shanghai Gehua Exhibition Planning Co., Ltd.
As a signpost for the development of forzen food industry, 2018 The 9th Shanghai International Frozen and Chilled Food Expo (2018 SIFCE) was successfully held at Shanghai New International Expo Center from August 29-31, 2018, attracted thousands of exhibitors world-wide to the event, received more than 56,493 professional audience and buyers, The number of exhibitors and visitors has reached a new high, and our exhibition has become the preferred place for trade negotiations and technical exchanges in the frozen and chilled food industry. 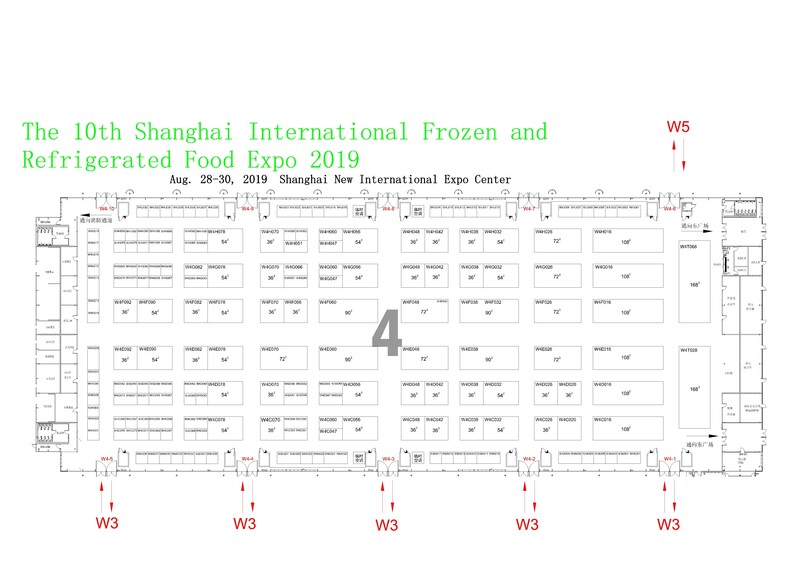 Being a new high and a new starting point, based on previous sessions of exhibitions, 2019 The 10th Shanghai International Frozen and Chilled Food Expo (2019 SIFCE) will be held at Shanghai New International Expo Center from August 28-30, 2019, with more new products and technologies, serving the visiters and buyers. Food machinery: frozen food processing machinery, food sterilization equipment, quick-freezing equipment, packaging equipment, refrigerators and freezers, cold storage and cold chain logistics for food.